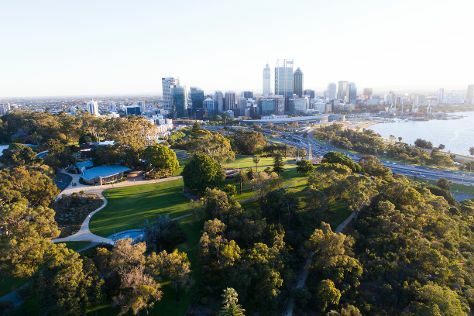 On the 20th (Wed), contemplate the waterfront views at Swan River, steep yourself in history at The Perth Mint, and then stroll around Kings Park & Botanic Garden. For ratings, traveler tips, other places to visit, and other tourist information, refer to the Perth trip itinerary builder site . Kolkata (Calcutta), India to Perth is an approximately 14-hour flight. The time zone changes from India Standard Time (IST) to Australian Western Standard Time (AWST), which is usually a 2 hour difference. Traveling from Kolkata (Calcutta) in November, plan for little chillier nights in Perth, with lows around 15°C. Cap off your sightseeing on the 20th (Wed) early enough to travel to Adelaide. Kick off your visit on the 21st (Thu): indulge your taste buds at Food & Drink. Take the guesswork out of planning a Adelaide vacation by using our trip itinerary maker. You can fly from Perth to Adelaide in 5.5 hours. Alternatively, you can take a train; or drive. Due to the time zone difference, you'll lose 1 hour traveling from Perth to Adelaide. When traveling from Perth in November, plan for a bit cooler days and about the same nights in Adelaide: temperatures range from 28°C by day to 15°C at night. Wrap up your sightseeing on the 21st (Thu) to allow time to travel to Melbourne. Start off your visit on the 22nd (Fri): meet the residents at Melbourne Zoo, enjoy breathtaking views from Eureka Skydeck 88, and then take in nature's colorful creations at Royal Botanic Gardens. Keep things going the next day: examine the collection at Melbourne Museum, admire the masterpieces at National Gallery of Victoria, and then get your game on at Zero Latency. To find photos, more things to do, where to stay, and more tourist information, read our Melbourne trip planner . Fly from Adelaide to Melbourne in 3.5 hours. Alternatively, you can drive; or take a train. Traveling from Adelaide in November, Melbourne is a bit cooler at night with lows of 11°C. Wrap up your sightseeing on the 23rd (Sat) to allow time to travel to Sydney. 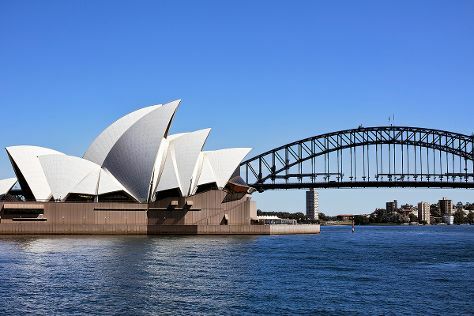 Start off your visit on the 24th (Sun): take a stroll through The Rocks, then make a trip to Sydney Harbour Bridge, then enjoy some music at Sydney Opera House, and finally admire the natural beauty at Royal Botanic Garden Sydney. Here are some ideas for day two: enjoy the sand and surf at Bondi Beach, then get up close and personal with brilliant marine life at Sea Life Sydney Aquarium, and then wander the streets of Darling Harbour. To find where to stay, ratings, more things to do, and other tourist information, you can read our Sydney travel planner . Fly from Melbourne to Sydney in 3.5 hours. Alternatively, you can do a combination of shuttle and flight; or drive. Expect somewhat warmer evenings in Sydney when traveling from Melbourne in November, with lows around 19°C. On the 26th (Tue), wrap the sightseeing up by early afternoon so you can travel back home.